With the worldwide agricultural drone market expected to reach £3.21 billion by 2022, it is no surprise about 38 per cent of agricultural retailers say they will be offering some sort of UAV service by the end of 2018. But is the technology just a short-term fad, or the future of on-farm data gathering? Experts at the conference, held at Harper Adams University, Shropshire, emphasised the need to improve the practicality of using drones and drone data if growers are to get the most out of the technology. Matteo Triacca, director of product and solutions at senseFly, highlighted areas in need of improvement. He said: “In order to make drone data actionable and fast, we need a processing engine which can compress huge amounts of data in order to increase the speed at which growers gather information and receive an appropriate output. A recent Hutchinsons survey revealed 82 per cent of respondents said they used some form of precision farming software. The remainder did not as they either considered the costs were too high, they struggled to understand the technology, or they felt the data was too much to manage. Jim Wilson, director of Soils Essentials, said managing the abundance of farm data being gathered is of huge importance going forward. Although drones were capable of identifying individual plants in a field, application technologies, including sprayers and fertiliser spreaders, were limited by how accurately inputs could be applied, with many growers applying pesticides using a 32m sprayer boom for example. Mr Wilson said: “Any technology which can deliver a resolution of 5cm or less is a luxury as we do not have commercial applicators which can address this scale. 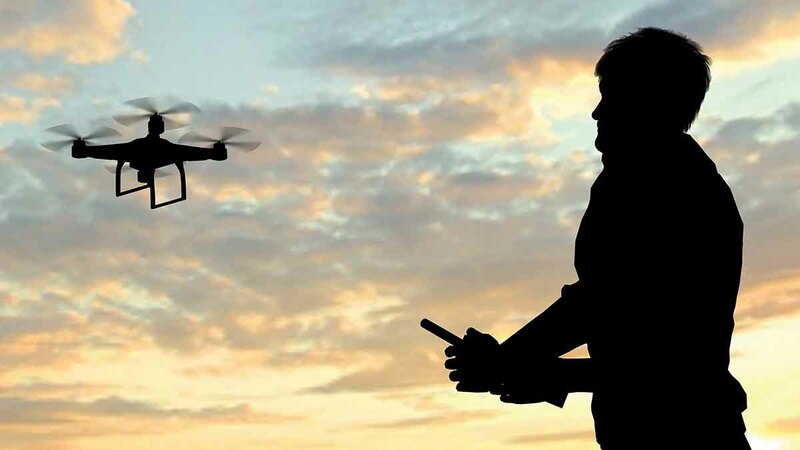 While drone technology has a potentially exciting future, it is important operators abide by the rules and regulations set by the Civil Aviation Authority (CAA) to keep this technology available to the industry, said Matt Williams, founder of Aerial Motion Pictures. The most recent regulations states those who fly drones for commercial gain, must obtain permission from the CAA.